Gina-B Silkworks - Join us on Hochanda TV!! Join us on Hochanda TV!! We will be bringing a brand new loom - No 7: Sun in Splendor. This loom is really clever. It features holes for two shapes - a sun and the circle medallion that fits in between the points of the sun to create a doily. 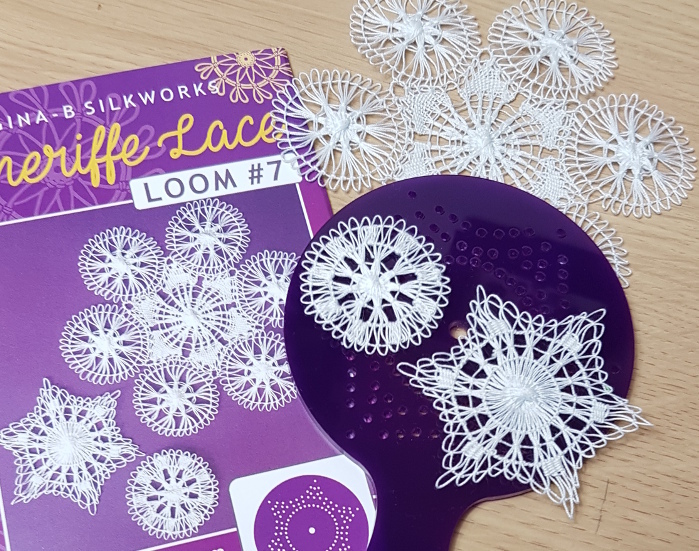 Each of these doilies can be joined together too. And we will have three new kits! 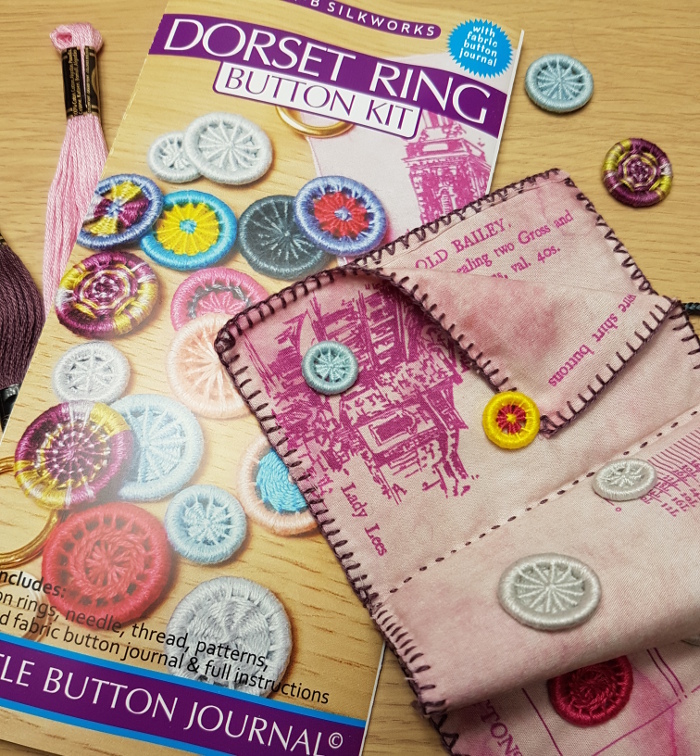 The Yorkshire Button kit includes reusable templates to create a variety of different sizes of this type of modern button. We will also be launching the first of our Little Button Journal range. These kits include not only button designs and materials, but also a little printed fabric journal to keep your first buttons safe in a sampler. After all, we know that you always like to keep your first buttons! We'll be kicking off the range with two kits - Dorset Buttons and Macclesfield & Leek Buttons. We will be posting sneak peaks of finished projects from Gina and her TV Design Team on Facebook over the next week so do check often!